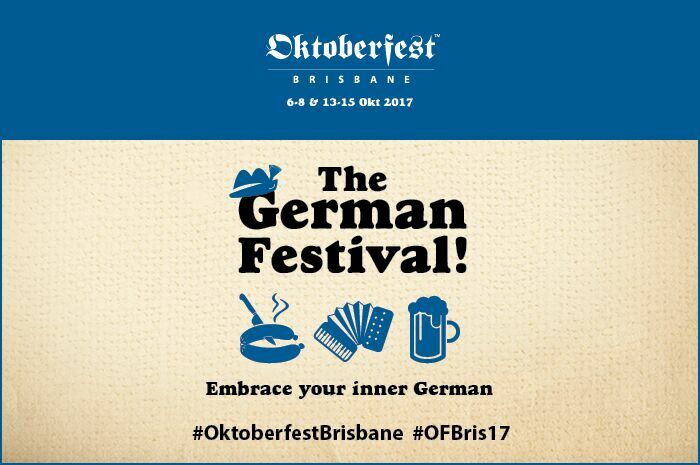 If you’re looking for things to do this weekend and you’re in the Brisbane area – look no further than the Oktoberfest! We had some roving reporters on the ground to visit for us and let us know about all the family fun on offer. They grabbed their Oktoberfest tickets on this link – kids under 18 go free and if you visit on Sunday they get two free ride tickets each as well! “What a great family day out! We were lucky enough to attend Oktoberfest and I must say I was impressed! Stating the obvious, German traditional dress was adopted by the majority of people attending, and was encouraged, with clothing stalls selling all required hats, shirts and what not to fit right in. Hungry? Traditional German sausage on a roll hit the spot – with sauerkraut of course! There was something for everyone with the traditional schnitzel meals, potato tornados, and more pretzels and pastries than you could point a cheese kransky at!! There were rides for all ages, ranging from a petting zoo and face painting, to dodgem cars and an awesome human sized football game! The main hall was great to relax with a beer, enjoy a traditional German meal, and enjoy the various bands that were featured on the main stage. Definite winner for a fantastic family day out! Oktoberfest runs this Friday, Saturday and Sunday – grab your tickets here now!